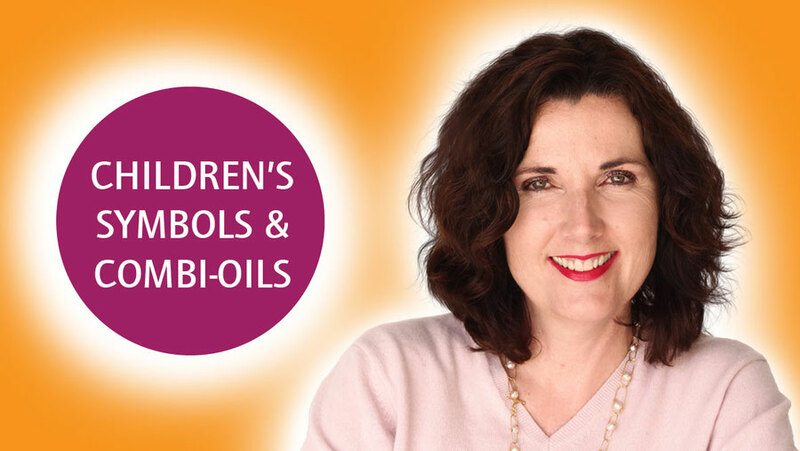 When does my child need an Angel-Combi-Oil? Does the symbol hint at a topic/problem/blockage, concerning the child? Does the symbol hint at a topic/problem/blockage, in which the child was involved in the past? Does the symbol hint at a topic/problem/blockage in the child’s surrounding (family, extended family, kindergarten, school, friends, etc. ), which the child reflects? Does the symbol hint at a future event (move, separation, start of kindergarten or school, etc. ), which is probably a burden for the child or its social environment? If you can answer at least one of the four points with YES, it would be sensible for the child to use an Angel-Combi-Oil. How do I choose the right Angel-Combi-Oil for my child? You let your child choose intuitively. How do I apply the Angel-Combi-Oil? Put a few drops of the Angel-Combi-Oil on the spot where you feel your child’s pulse, on the navel, the soles of the feet, forehead or neck. Use 3 -5 drops of the oil undiluted. Ask the child where it wants to have the oil applied. Massage it gently, with circular movements, into the skin. to listen attentively to what the child wants to tell you afterwards. There are often clues to the problem. All the stories are also available as audio books. If you want to extend the ritual, you can also spray the Angel-Aura-Essence “Angel Hariel” in the room, or over the child into its aura. Can I also do children’s massages with an Angel-Combi-Oil? Children love to be stroked. If you want to use the Angel-Combi-Oil for children’s massages, mix 10 drops of the chosen Angel-Combi-Oil with 100 ml high-quality massage oil. Massage the child extensively with this mixture. You can place the children’s symbol under the child (between blanket and massage table). Afterwards you can read the corresponding angel story from the book. You can also play the story from the audio book during the massage. If you want to extend this ritual, you can also spray the Angel-Aura-Essence Hariel in the room, or directly over the child. Pay special attention to what the child wants to tell you during or after the massage. Can I also use the children’s symbols in combination with the Angel-Combi-Oils as an adult? Of course! In this case, you deal with blockages from your childhood. You work directly with your inner child, in a very soft way. We also recommend the use of the Angel-Aura-Essence Hariel.